Dr. Runa Acharya is an infertility specialist and gynecologist in Basheerbagh, Hyderabad and has an experience of 10 years in these fields. 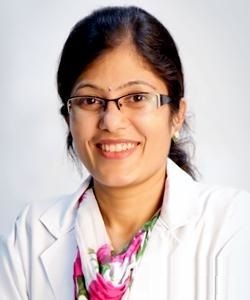 Dr. Runa Acharya practices at Ramayya Pramila urology & laparoscopy hospital in Basheerbagh, Hyderabad and Sree fertility & IVF center in Srinagar colony, Hyderabad. She completed her MBBS from RGUHS Bangalore in 2003, M.D. (Obst & Gyn) from PGIMER, Chandigarh in 2008 and DNB (Obs and Gyn) from Dr. James Catt Monash University, Mumbai in 2011. Some of the services provided by the doctor are: vaginal hysterectomy, in vitro fertilization (test tube baby), andrology, proctoscopy and delivery etc.